Geology Northern edge of Late Glacial Lake Bed. 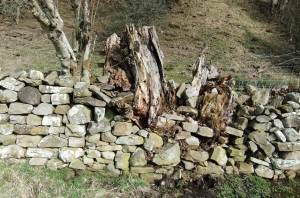 Record Description This fragment of a relict hedgerow survives as a substantial lynchet with occasional hedgerow trees which clearly predate the present day drystone walled field boundaries- the walls abut the wych elm trees which grow on the top edge of the lynchet. 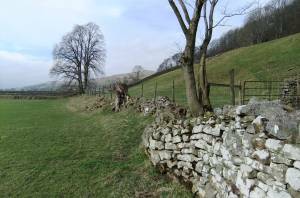 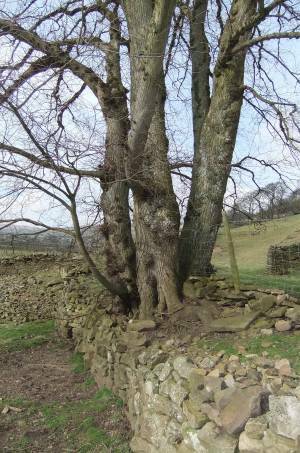 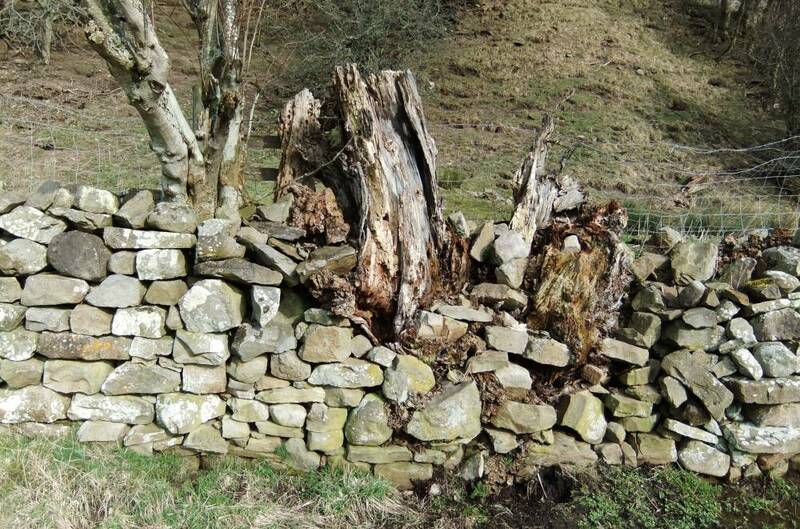 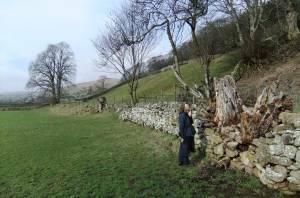 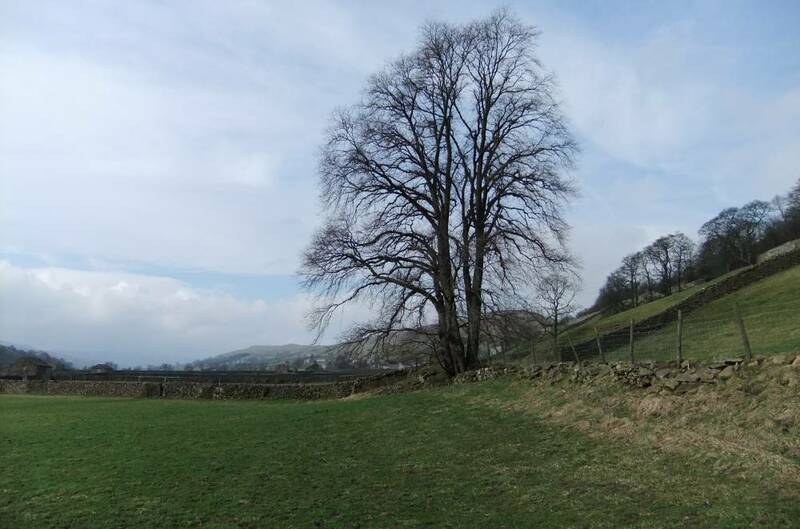 Thus the trees were already old when the drystone walls were built around 200 years ago. 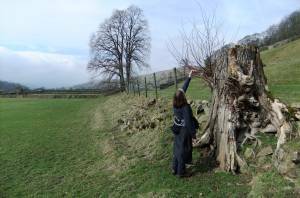 Additional Notes One fine wych elm tree survives, the remains of the dead stumps of two further large elms survive and a single sapling springs from the roots of a further wych elm which has otherwise completely disappeared.